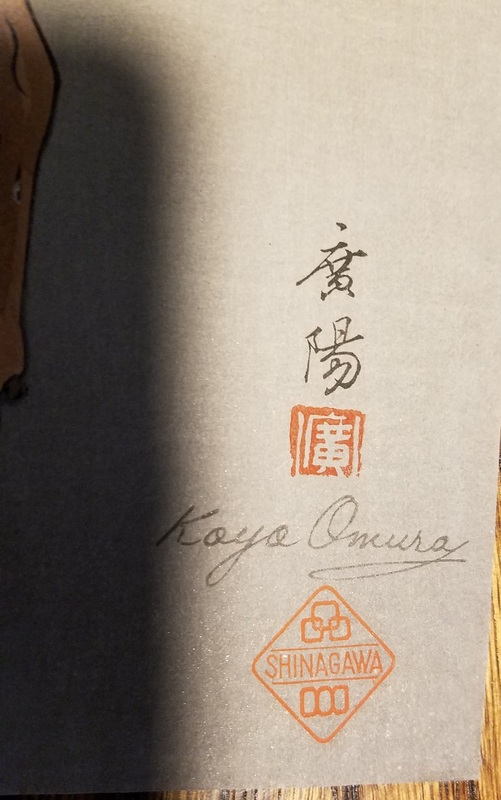 Recently purchased two nice Koyo Omura woodblock prints, both dating approx. 1951. 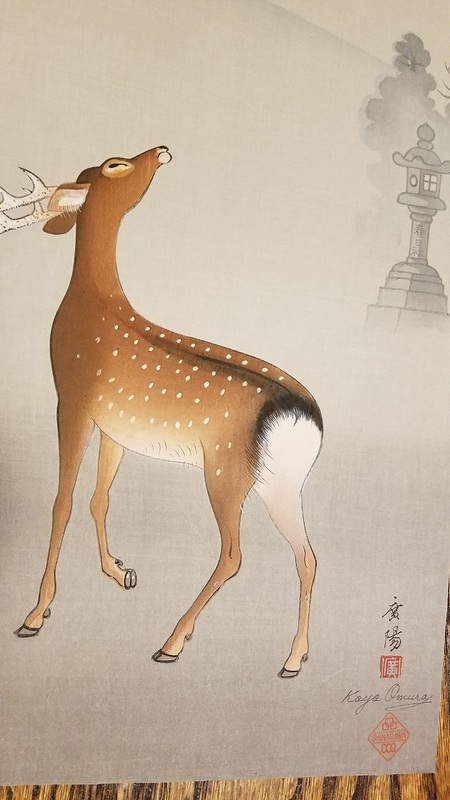 Titles I find are "stag and lantern" and "deer and fawn." I would greatly appreciate a translation of the seals on the side. Also, the seal with "Shinagawa" within it. I assume that is the producer of the print? Finally, the signature of the artist. My assumption is that the signature was added when the print was made. Accurate, or am I heading the wrong direction? My thanks in advance. Chikujōkai (Founded by Takeuchi Seibō)　Sapecialized on animal, flower and bird painting. Shinagawa 品川　was a publisher for many of Kyōto based woodblock print artists. 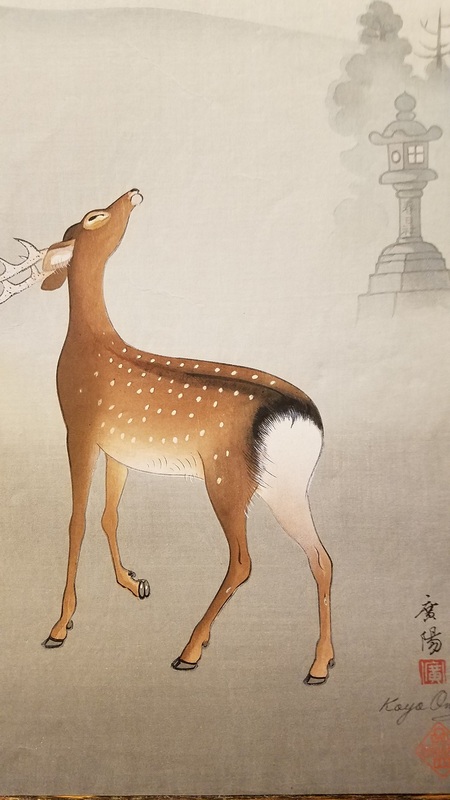 In the 1953 catalog of the "Shinagawa" or "Kyoto Hanga-In" woodblock print publishing company (see link below), your prints are shown on page 32. "Shinagawa" was the family name of the proprietor of "Kyoto Hanga-In". He mostly used his company name for publishing activities, but sometimes used his own name. The seal on your print is his personal seal. The signature in Japanese calligraphic characters reads "Koyo". The artist's seal is simply "Ko". The artist's signature in Roman script is almost certainly printed as part of the block printing process. The "Shinagawa" seal was almost certainly hand applied by Shinagawa-san himself. Thank you all for your help. It is greatly appreciated.